Nissan is known for expertly crafting well-rounded vehicles that hit on all fronts. Comfort, reliability, performance and luxury, all, of course, at an exceptional value. No vehicle exemplifies those values more than Nissan’s mid-size pickup, the Nissan Frontier®. When you look to Frontier®, you see Nissan’s core brand values, all tied together with the capability that matches any other competitor in the segment. 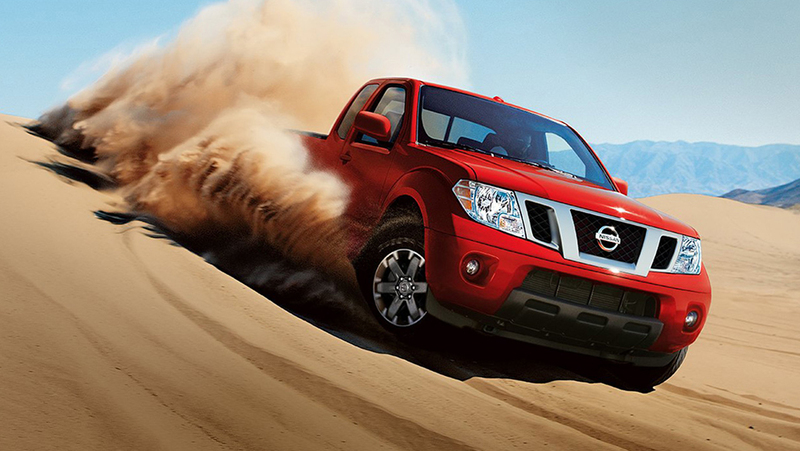 The Frontier® is available from your friends at Go Nissan North, starting at $24,498. Come to our state-of-the-art showroom in northern Edmonton to see how the 2019 Nissan Frontier® takes down the competition. Our experienced team can also help you explore the entire Nissan lineup! Go Nissan North is proud to be the leading Nissan dealership for the northern communities of St. Albert and Morinville. Nissan has utilized the same formula for years, only adding minor additions to the Frontier®, while keeping it the same economical truck priced at only a fraction of its competitors. The Frontier® hasn’t had a full redesign since 2004 and, as the saying goes, if it isn’t broken, don’t fix it. The 2019 Frontier®, however, has brought some updates to keep drivers swooning, delivering a standard 7.0-inch touchscreen to entice drivers, as well as a new colourway—Cayenne Red. When you choose the Frontier®, you’re delivered a mid-sized truck that can do full-sized work. Get it done with an available 4.0-litre V6 engine that packs 261 horsepower and 281 lb-ft of torque. Bring along just about anything you’ll need with the Frontier’s towing capability, allowing up to 6,710 lbs. 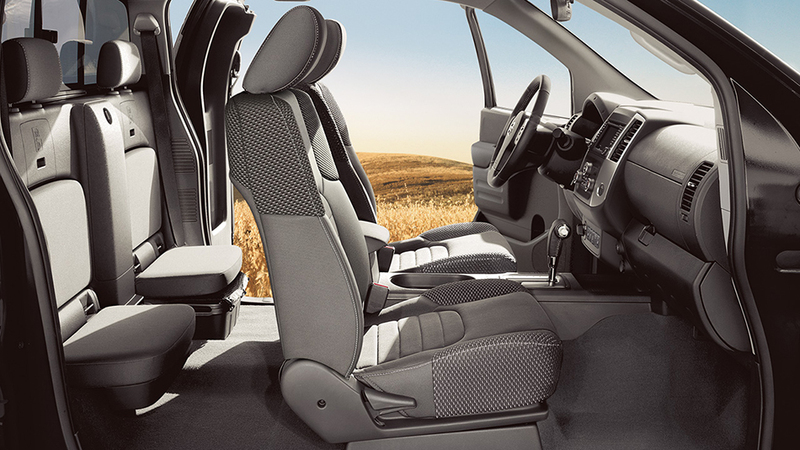 And you can expect even more out of the Frontier®, with premier Nissan safety features, including Nissan Advanced Air Bag System, Vehicle Dynamic Control, Anti-lock Braking System with Electronic Brake Force Distribution, and more.